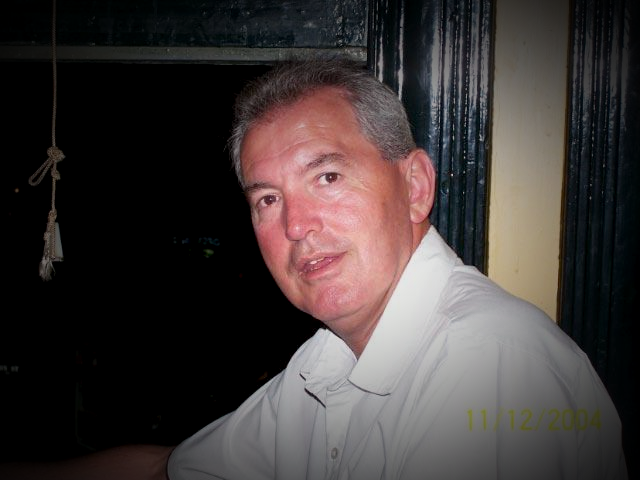 Good afternoon for those who don’t know me, I’m Phil Duncan, Terry’s mate and business partner I have known Terry since 1980, when he commenced work with TNT roadfast, I was based in Sydney and Terry was in Brisbane. TNT was a great training ground and we made many friends that have stayed with us both, since that time, some are with us today some unable to attend. Here today, are , Norm Wonky Harris, Mick Travelos, and Mick Gattenby and of course Graham Fear has sent his own message and Kevin Turnbull who was a great mate and mentor sends his thoughts. I apologise if I have missed any one. In about ’88-‘89 we worked together again for Brambles, Terry in Brisbane, me in Sydney, although his time at Brambles was not long. The story goes – that Terry was attending a weekend state conference where, during one of the workshops Terry suggested to the then state manger in front of about 40 conference attendees, that perhaps the state manager was not telling the whole truth. Needless to say his career with Brambles was over the following Monday. Now, I know who was telling the truth that day, and it wasn’t the state manager. Terry went on to K&S after that, back with Kevin Tunbull for about 4 years. Then in 1993 we came back together to work at Showgroup, again, Terry at the Gold Coast and me in Sydney, both of us working and learning from Graham Fear. In ‘95 Terry came to Sydney to take on the role of manager for the “tour trucking” divison of Showgroup, a roll that Terry took too – like a fish to water. I guess most of you know the rest, in 2002 after the collapse of Ansett, Terry, Chris & I established ATS, looking back now it has been a remarkable journey. The man that never said “no I can’t help”. Who answered the phone anytime 24/7. My mate, my boss, my saviour on so many times, I will miss you. Terry always gave more the he took. He cared for others more than himself. Always looked forward never back. Shared his knowledge as both mentor and mate. He always remained grounded and real. Was called tossa but never became one. It was a privilege to work with Terry and I knew him as an exceptionally hard working business man, whose two great loves were his family, and the business. His acute business sense and unique sense of humour will be greatly missed by all. I know many of his BDO family are here today and they will know what I mean when I say that “Terry’s other family thank you for your thoughts and support during this difficult time”. I think these were his highlights, And what I remember most is, whilst he was doing these big shows he was looking after the little guys. I don’t know how he did it, and I think most times we never knew he was doing it !!! But he did it just the same. It was all written on the A4 piece of paper carried in his top pocket folded 10 times over itself, critical information on every side If ever there was – a change of time a critical van number, a delivery address, a new contact at the pick up point, it was all on this piece of paper kept safe in his top pocket, All of them meticulously kept in his tour files forever to be referred to at some future time. We were going through some files last week and we found the truck pack and drivers details from AC/DC ball breaker tour back in 97 the drivers mobile phones were still 018 numbers. I remember the early days back at Show when Sharlene would pack his lunch up in a little blue esky with sandwiches, packets of chips, chocolates, maltesers, twisties and an apple, we couldn’t wait for Terry to arrive at work in the morning. Nicko would eat the sandwiches, I would eat the chips, Mark Flynn the fruit. No one but Terry was getting the chocolates. We would all order chicken and chips for lunch or pizza, Rod Mathews would often pay and Flynny would go up to Mascot to pick it up, and of course keep the change. And Terry would go home with an empty lunch box, Then we would do it all again the next day. His love of chocolate and lollies was legendary. If you needed a sugar hit there was always a tempting delight in the top draw of his desk He loved nothing more than sharing a family block of Cadbury chocolate with all his mates. Terry was known to us by many different names, Dad, bro, mate, Tezza, Tossa, Tel, sometimes Mr Terry!!! But if you knew him, you knew his love of life, his total commitment to his family and friends, and his complete honesty, and incomparable work ethic. His sense of humour his love of life and most of all his calmness, I will remember forever. I like all of you, loved him and will forever have an emptiness now he has passed, but I am so proud, and grateful, and I thank god that I had the opportunity to be a part of his life and share his friendship for so many years. He was a unique person and we are all going to miss him dearly. I am certain if there is a tour happening in rock n roll heaven you can be sure Terry Turner is doing the trucking. Last week when I arrived in Los Angeles I was very shocked to be advised by my office about Terry’s death. I have had the privilege of knowing Terry Turner the as he started his “transport journey” with me some 29 years ago at TNT Brisbane. A young, brash but very keen person he was placed in the Roadfast Division’s Customer Service office. Providing “Consistent Customer Service” in this period of his early teens and through to his later diversified transport life was the hallmark of his identity and credibility and built the outstanding respect he now leaves as his legacy. The short history of his journey was this: After I moved to the TNT HO in Sydney in 1984 and then on to Show Group in 1987 I soon realised that the business I had taken on needed young talent that knew what commitment was all about. Seeking out known TNT people that had been outstanding quickly led to Terry joining Showfrieght at the Queensland film studios, where he learnt the ropes of building the blocks in a smaller specialised business. After two years I brought him to Sydney in a more senior operations role which he handled with great zeal. The only unfortunate thing was his confusion as to which team to back in the State of Origin, a problem I know his son Justin had no problem with!!! As he grew with his new roles and stepped up in the company, he set bench marks and standards that personally made me very proud of him because he forgot nothing from those early TNT days just tracking freight at 18 years of age. By his own motivation at our Sydney offices he worked 24/7 representing “the face” of our business and the interests of the customers. A total job commitment is rare these days especially with a young family’s growing demands, but Terry delivered over and over and nobody could ask or expect more. Like any opportunity that presents itself, Terry moved on after our shareholder changes. In any business environment there is nothing wrong with a new direction but inevitably it did create a gulf in our ongoing dialogue and communication but not in any mutual respect. Disappointing as his departure was then, nothing is as devastating as his departure today from all our lives. I had the opportunity in recent months to speak with him, the last being on Christmas Eve. I think we both felt a lot better for what we said to each other. Whilst competition had divided us for some time I join all our staff in passing on our condolences to his work colleagues. I particularly share Sharlene, Justin, Tanika and Tabatha’s grief and pray for God’s guidance as they now live and face life without him. God bless you Terry. I love you heaps son. ‘I have only just found out the news about Terry upon receiving this email so this has come as a massive shock. All I can say is that my thoughts are with you and his family. ‘Terry Turner – the man that never said “No I can not help”. He would answer that phone ANYTIME. ‘I am going to miss you mate, this is not easy. You have been a great friend and boss over the last 9 years, I have learnt so much from you. All the work stuff aside, you were the always positive one and had a good sense of humour, I am truly a better person for spending those years around you. My wife and I are really going to miss you, thanks for everything you have done for us and all around you. To your family, my thoughts are with you, he was a proud dad and always had your best interests at heart. If there is anything I can do just let me know. Take it easy Tezza! ‘A man with a personality who made everyone around him smile. He will be deeply missed by all who knew him. It was a great opportunity working with Terry over the past 18 months. He really brightened up the office and would always come out of his way to have a chat with you and make you laugh. I will miss his jokes, bubbly personality and his positive and inspiring attitude towards work and life. I will always remember this. We both had a love for our sweets and we would always raid each others draws for lollies and chocolate and would makes jokes about who had the most. We would both buzz each others phones when we had something new and say quietly, come and look at what lollies I have in my draw today and either of us would yell out ‘what lollies have you got?” so that everyone would hear and then we would have to share them out. We got each other every time and would say “that’s it, I am not telling you next time I have them because you’re going to tell everybody about it anyway”. Ha ha ha always had a good laugh about it. I send family and friends of this wonderful man my condolences and sympathies. I am sure he would want you all to be happy when you think of him, than to be sad. I know that when I think of him I will smile, be happy and grateful that I knew such a lovely man. He will be looking down on you all and taking good care of you. ‘I am in Los Angeles this week so I can’t be with you today. I was deeply saddened to hear of Terry’s passing and we have all lost a great friend and he will be truly missed by all. Terry was always there for me not only in our working life but as my friend, it will not be the same without you mate! We will never know why the great people are taken from us so early in life but my take on it for Terry is the legends are doing a tour upstairs and the trucking Is a MESS! And we all know there is only one guy who can sort it all out for a tour that big! ‘I am in shock and feel totally empty- gutted – I feel for Terry’s family and loved ones, and of course, all you at ATS and the whole of the Australian Music Production industry are Terry’s family and loving friends. I am saddened that I can’t be there on Monday. My thoughts and prayers will be there with you all though. ‘Dear Phil, Turner family and all at Australian Touring Services. It was with the deepest shock and regret that we learned of the death of Terry Turner. It was a privilege to work with Terry over the past 5 years and to know him as an exceptionally hard-working business man, whose two great loves were his family, and the business. His acute business sense, and unique sense of humour will be greatly missed by many. ‘I am shocked and saddened by the news of Terry’s sudden passing. I have known and dealt with him since the late 1990’s and he always went out of his way to assist us with our meagre needs. I remember him with a smile on his face and a joke at hand. The entertainment industry will sorely miss him. I did not know his family at all, but could you please pass on our condolences to them and his extended family at ATS. ‘I’ve just heard the terrible news that Terry passed away on the weekend, I am deeply saddened and shocked to hear this. ‘Your loss & Terry’s family loss is so great that I can’t find the words to express my condolences. All I can say is that myself, Helen and our two girls send our love, sympathy and the most heartfelt thoughts to you all at ATS. Our lives and the industry have lost a very dear friend and a wonderful human being. ‘My memories of Terry are what a consistent and reliable bloke he was. He never changed in the time I knew him. From when I just started out in ’92 (and knew nothing) to the present. Terry always treated me with the same consideration and respect. Terry I dont think that people would understand the hours mate, the times you and I would talk for an hour or so on the way home just to keep us awake. How can I say you where one of my mentors, my go to when I needed help with trucking, scheduling or just a, your doing ok! I still remember the steaks (must have a feed dave) before, during or after a show. So mutch knowledge, so much trust………………………Thankyou, I still miss our chats.